The first tip I got about the Taj Mahal was: don’t miss it! The second tip I got about the Taj Mahal was: go with someone you love. I’d started my day in Agra visiting the Agra Fort, which is a walled city with both Hindu and Islamic architecture. It was damn hot and there were not so many spots to hide ourselves from the sun, but I still took my time to appreciate the view (you can see the Taj Mahal from there, to have just a glimpse of what is about to come). The Taj Mahal itself is 2 km away from the Agra Fort. If you’re going by car or bus, you will need to park a bit far and take a rickshaw until the gates. Attention: You can’t buy the tickets at the gates/entrance; you will need to buy them at the parking lot. 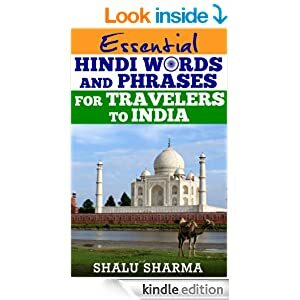 As almost every place in India, the prices are totally different for foreigners and for Indians (Indian National Rupee (INR) 750 and INR 20). This means that foreign tourists have to Rupees 750 while Indians have to pay Rupees 20. Don’t try to play smart and pass by Indian to get the lower price; the securities are well-trained and very used to all kinds of situation. 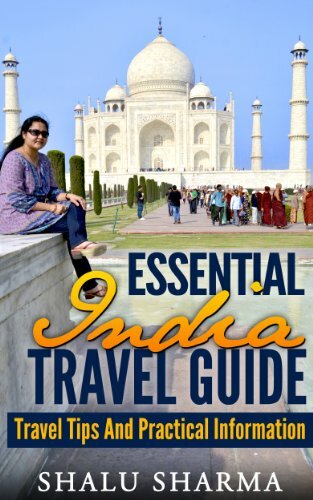 Besides, INR 700 (around $14) is a fair place for the most famous tourist place of the Incredible India. Don’t worry, it will be worth it. Despite of what some foreigners I know think, the Taj Mahal is not a temple, and it’s a mausoleum. It was built by Emperor Shah Jahan in memory of his third and favourite wife, Mumtaz Mahal. She died giving birth to their 14th child. There’s a myth that says Shah Jahan planned to build another mausoleum for himself in black marble, across the Yamuna River, but he died and his son didn’t carry on with the project. The Taj Mahal incorporates both Persian and Mughal architecture using white marble with semi-precious stones. Although I had seen pictures of the Taj before, but I was certainly not prepared for how big the building was. No wonder it’s known as the biggest proof of love in the world. The reflecting water and the tall trees completed postcard scenery I’ll never forget. I did a big mistake and got there on a really hot day and during the afternoon, so there were a LOT of people and you have to fight your way to take a picture. I’d prefer to go during sunrise and get a little closer to the serene and lovely feeling of being there, finally staring at the most known symbol of India. Inside the Taj Mahal, Shah Jahan’s tomb is placed beside his wife’s. His tomb is bigger than his wife’s and the only part of the complex that it’s not symmetric. You are not allowed to take photos inside, but to be honest the outside is way more interesting and impressive. For me, it was way more interesting just to walk around and take a view of the gardens from above. I’ve found myself going to the exit, but always looking behind me just to check a little bit more of the big Taj Mahal. When you walk back to the parking lot again, there are a lot of small stores where you can buy souvenirs and other things in marble. I got a baby-Taj Mahal for only 200 Rupees. I’m that kind of souvenir-crazy person and India is a great place for shopping. More than this, who wouldn’t want to take a little something home to remind you of one of the most amazing places in the globe? Finally correcting myself: The Taj Mahal is not only a place, it’s an experience.. Yes ..My newly married brother who paid a visit to the Taj Mahal with his wife earlier this year told me that he had to pay as low as 20 RS to get an entry to spend some time near this beautfiful structure …This is a must visit place for any couple of India/Any part of the world who plan a travel to our magnificent country India …and yes you can expect a huge crowd nearby you (if you’re near Taj Mahal) as this is one of the 7 wonders of the world ..people would be flowing like a river. Pramod, I think there should be one flat rate to see the Taj Mahal. I don’t like the fact that foreigners have to pay extra. Thanks for you comment and hope to see you again. It was nice of Natalia to send her photos and her experiences to me for sharing to the world. I have only been to Agra once but I do hope to go there in the near future again. Thanks for your comment and best wishes to you. Yes, the Taj- the complete experience and memory! I think there should be ON difference of entry fees among native visitors and foreigners. Let us forget all differences when we are around the biggest symbol of love. Indeed, the Taj Mahal is an experience and not just a building. Thank you for your comment and hope to see you again on the blog. Thank you for your comment Ritesh. Interesting article you have there. You look pretty Natalia. Taj is really beautiful, it has an amazing capability of attracting everyone. She’s looking pretty. Thanks for your comment Rudraksh. Taj Mahal is one of the seven wonders of the world, and some Western historians have suggested that the beauty of this architecture is something that no other work to overcome. Absolutely right Jack. Its one of the wonders of the world and a must visit to see this monument. I too think Natalia has taken some excellent photos of the Taj. Thanks for your comment. Superb work. I have been to Taj Mahal. But this was better than my visit. Taj Mahal is one of the best place in the world to visit.This is past gift of a husband to a wife. your demonstration abut the Taj Mahal visit is heart touching. She has described her visit wonderfully. Taj Mahal is one of the most famous place in the world, and people are curious to visit agra and to see Taj Mahal. But it’s my bad luck that I couldn’t make it there, I planned few times but every time plan didn’t work. Hope to make my trip there soon. Aasma, I hope you make it one day. Would love to hear how it goes. Taj Mahal is Incredible, I Love Taj Mahal– one of my definite favorite places visited in India. and well know in all over the World for their wonder and beauty. but I have also more posts related to Taj Mahal tour. Well I have been to Agra many times but during all these years i went to Taj Mahal only once. I liked it but crowd is something which really bothers me . . . . I have really though time there while I was on the tour. not much can be done about the crowd. I can understand what you mean but the crowd is there just to see the Taj Mahal like the rest of us. Thanks for your comment and hope to see you again. Have a nice day. Very beautiful place Shalu. When I havethe buget I ‘ll visit for sure. I do hope you make it there one day. I have seen various pictures from the Taj, but the 4th one is the view I saw it for the first time. I have not visited Taj yet, but definitely a must visit place for me. Hopefully I will visit it after my marriage with my wife. May be it will be the right time to visit this monument which is the greatest symbol of Love! I do hope you take your wife to see the Taj Mahal. Your idea of visiting together is a great one. Thanks for your comment and hope to see you again on the blog. 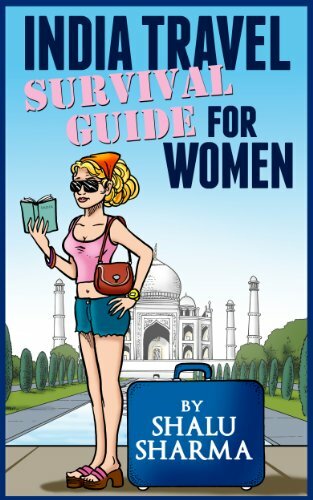 Hey Shalu, ..Seems like Natalia enjoyed a lot her Agra trip. “TAJ MAHAL” – Symbol Of Love” One of the most beautiful destination of India and first choice new married couples. Thanks for the info and sharing your wonderful experience. This was a wonderful write up of your experiences at the Taj Mahal. It brought back memories of when I was there some years ago. It is still the most beautiful building I have even seen. Natalia has done a wonderful job of describing her experience of visiting the Taj Mahal. I agree, the Taj is one of the most amazing buildings that exist. Thank you for your comment and shares. India is a great place for tourism. And taj is the symbol for love. Taj Mahal has represented us many a times. Absolutely right on this Gagandeep. wow the place looks really majestic. I’m hoping 1 day I’d be able to visit Taj Mahal and cross it down in my bucket list. I hope you do Sheenah and do tell us about your experience. Our readers would love to hear from you. Wow amazing and so lovely pictures. I have seen taj mahal in pictures before. I want to visit it. Your experience is as you tell is so enjoyable. I went Taj many times but in the summer . I never get chance in these days when Yamuna filled with its neck. I like your experience it is more exciting if you will go with your lover. THanks for sharing Experience. The Taj Mahal is Amazing destination and I hope visit it . There is no doubt that life is a journey, learn to live your life and don’t live to learn your life. I know for sharing this experience with the whole world via the the internet, something must have been learnt during and after the journey. This is awesome! I never go to Taj Mahal. Is it a mosque ? Taj Mahal is definitely a must visit place on a trip to India. The story behind the structure is amazing just as the structure. Nice photos! i can’t believe it… Aaj se 5 saal pehle hum bhi gaye the badi mehangi thi..
TaJ is eye of India, in 1st pic both are superb. Its a great detailed post on visit to Taj. I alwasy like to read the personal travel experiences rather than the usual articles. These make you feel as if you are there traveling with the person. Thanks for sharing this along with superb pics. It’s a great article about beauty of Taj Mahal. It brought back good old memories when I was there some years ago.Really The Taj Mahal is the most magnificent tribute to love and beauty. It’s my dream to visit the Taj Majal one day…. A nice experience one of the world’s most exotic regions. You’ll witness some of India’s greatest wonders. its the one of world 7 wonder and every one know that its a @@symbol of [email protected]@ so all lover must visit to tajmahal atleast once and should share their personal experince . i visit many times to tajmahal and and when i m coming back a thought always arise in my mind i will come agian once atleast . i love to visit tajmahal . Taj Mahal is among the seven wonders of the world. Everyone should visit to see the place at least once. It is totally a different experience. I have visited Taj Mahal twice however I will visit it more times whenever I will get an opportunity. Woowwww.. I confuse, which one the cute pic, the background or Natalia? Hehehehe.. both of them I think..
Lovely pictures and beautiful portrayal.It is one of the most beautiful places I have visited so far. The history associated with it, makes it even more special. No wonder it has made its place in the 7 wonders of the world.Truly deserving. I advice people when they plan to visit tajmahal there is a another monument near the tajmahal known as akber tomb. Taj Mahal is one of the historical places I would love to visit. Wish to be there with my whole family. Its my biggest wish to visit this place in my life. i heared alot about it ..and after reading this article and watching the marvelous pics of Taj mahal i can”t wait any more. i wish that soon i go to India and visit Taj Mahal.Thanks for sharing your experience. You look pretty Natalia. TajMahal is really beautiful, it has an amazing capability of attracting everyone. Love to visit Taj Mahal! It’s a mystical place. Art of love. Very truly said – Visiting Taj Mahal is an experience, an experience that you can never forget in your lifetime. I had been there around 4 years back and the memories seem to be so fresh even today. Anyone who has not visited Taj Mahal yet is surely missing something great in his life and as mentioned by Shalu, do EXPERIENCE with your beloved and believe me, the experience is going to be completely different. Its historical place and i am crazy for visiting Taj Mahal. I wanna see it. Taj Mahal! Oh how I want to visit there too. Taj Mahal and Angkor Wat are two places in my bucket list. Always nice to see grand architecture and historical sites around the globe. This is a indian historical place taj mahal. i think every indian one time visit there. this is awesome experince. I visited Taj Mahal in the morning & I saw how the color of Taj Mahal transformed as the sun rises. It was a breath taking scene n’ something that everyone should go through at least once. You really cannot miss the Taj Mahal on a trip to India. Taj Mahal is just an awesome place to visit . I visited Taj Mahal several times whenever i get time , but i love to see it again and again . Best place to see beautiful newly married couples from India and abroad too. Taj , is one of the seven wonder , and it’s honour for every Indian. If you are comming to India than one place that you must visit is The Taj Mahal . This is the symbol of love. Nice post! Taj Mahal is a beautiful and amazing place, I can’t wait to visit it. Thank you, it is a nice monument and you should definitely visit it one day. what a beautiful.it s just a dream for me to visit there. Very amazing article, I can’t wait to visit it. Awesome building with a great history. The taj mahal which tells the queen and king Jodha Akbar. whether true story like that ? 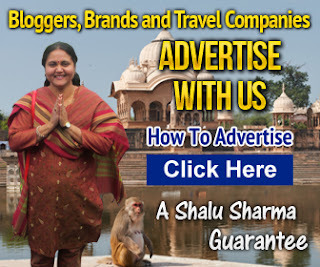 Real & experience articles…Great post and amazing picture, Taj Mahal is a wonderful place,and very nice information. Lovely pictures looking pretty. After reading your Article. I would like to visit Taj ASAP.. Thanks for sharing such a nice infommation. Also can you share few hotels for staying overthere. As the site of the world’s historic enough, I’d love to visit there. I only know from the history books that are studied in schools in Indonesia. Thanks Shalu. Tajmahal is one of the very beautiful and its very famous tourist place in India.You share very nice information.thanx for this. I also visit Taj Mahal the last year. It is looking really great. specially at night. Thanks for sharing your experience. This information is so inspiring. I visited Taj mahal last year and would love to visit again. No words for Taj. Thanks for sharing the personal experience. I visited Taj many times and eager to visit again, btwn nice article. Tajmahal is just about the incredibly beautiful as well as incredibly well-known vacationer put in place India. An individual talk about good information. thanx because of this. I am from Pakistan and I wish to see Taj Mehal. Can We take picture from inside or not? As Natalia tell us every thing about this place. I really really wish to visit there. When I will visit India then I will must to visit Taj Mehal. Thanks Natalia for sharing such great pics and information. Beautiful … and considerably better than the other view, which is largely obscured by the consistent mass of literally thousands of tourists. its very nice dear really good to read your article about Taj Mahal…. I will not recommend any of my family members or friends or anyone to visit there, better to visit agra fort and spend much more time there instead of Taj Mahal..
You seem to arrive to India from the Mars, not from the Earth. And you simply lied and made contradictory statements. It never takes `3+’ hours to get entered into the Taj Mahal. And how do you expect to stay long time while there is a long queue behind you. People like you create problems everywhere.